Sick of slathering on mosquito repellent whenever you step into your backyard? Tired of having to put out mosquito lamps and lanterns? Stop battling mosquitoes – and gain control over them instead – with Cardinal Lawn Care’s mosquito control specialists, we know how to target and drastically cut down on mosquito populations. And we back our services with a 100% satisfaction guarantee. Our mosquito program is a top choice for mosquito control among homeowners. We start the process by evaluating your property to identify breeding areas and problem spots. Then we explain the options available to you and the schedule we recommend for your property. Preventing mosquitoes from breeding and thriving. 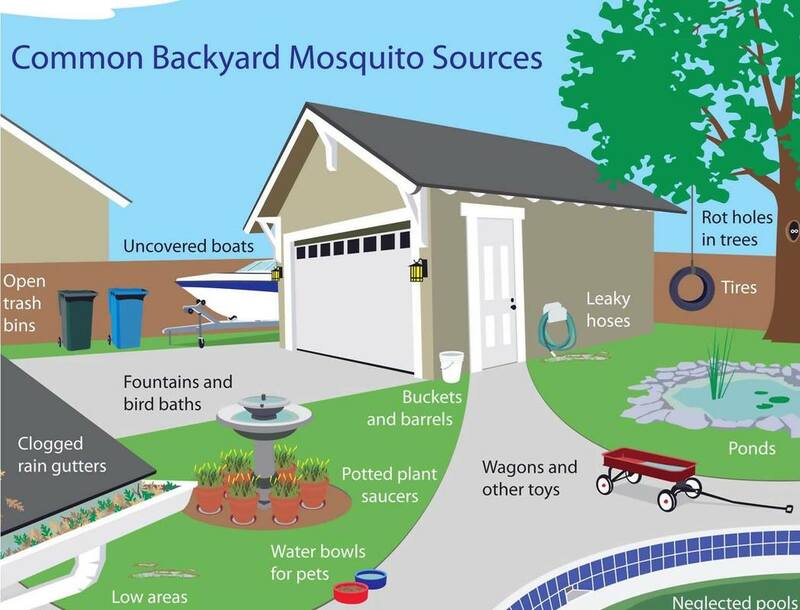 Once we’ve determined where mosquitoes are breeding, we will recommend steps you can take to eliminate these sites throughout your property. Controlling existing populations. We apply products specifically designed to target adults, eggs, and larvae, providing protection against future outbreaks. Maintaining an enjoyable yard. Our ongoing maintenance applications keep mosquitoes under control so you can enjoy a safe, healthy yard. The last thing you want is a swarm of mosquitoes attacking your guests and ruining the ambiance on your big day. Whether you’re hosting a wedding, birthday, graduation, or even a neighborhood barbecue, our one-time special event applications can provide a protective barrier against unwanted pests. With our mosquito control, you can focus on hosting and having fun, not fighting off mosquitoes. Are mosquitoes getting out of hand in your backyard? Call Cardinal Lawn Care today at 810-569-6569. We provide mosquito control services to customers in Davison, Grand Blanc, and Lapeer area. Making it a beautiful and safe place for you to enjoy your family on the weekends! Eliminate your home’s mosquito problem with regular monthly spraying, designed to create a barrier around your property. Shortly following treatment, family members and pets should be free to enjoy your newly protected yard—and without any chemical odor lingering around. Our 30-Day Barrier Spray is an EPA Approved Program applied by our trained and licensed technicians. Step 1: In early spring, mosquitoes become active. Our state certified technicians will apply a mist/low volume spray to hot spots on your property, such as where mosquitoes harbor or breed. This will reduce mosquito activity for up to 6 weeks. Step 2: In late spring or early summer, our technicians will continue to focus on the hot spot areas in order to maintain control. our technicians apply a complete barrier to your property that will allow you to easily enjoy your lawn to its full potential. Mosquito's can be highly aggressive and a nuisance this time of the year, Our Technicians will add Mosquito dunks to breeding areas to help cut down on mosquito larvae from hatching This application will reduce mosquito activity for up to 4-6 weeks. Step 3: In mid-summer, our technicians will target a new area, such as mosquito’s daytime resting spot's. These often include shaded areas, such as under trees, shrubs, decks and mulch low laying wet areas.Our Technicians will add Mosquito dunks to breeding areas to help cut down on mosquito larvae from hatching This application will reduce mosquito activity for up to 4-6 weeks. Step 4: In late summer or early fall, will continue to focus on the hot spot areas in order to maintain control. our technicians apply a complete barrier to your property that will allow you to easily enjoy your lawn & Property. Our Technicians will add Mosquito dunks to breeding areas to help cut down on mosquito larvae from hatching This application will reduce mosquito activity for up to 4-6 weeks. Step 5: In fall, our technicians return to concentrate on breeding areas as these tend to have the highest activity The barrier applied will reduce mosquito activity for up to 4-6 weeks. are most likely to feed and harbor. Once applied, Cardinal Lawn Care provides even greater protection as mosquitoes attempt to hide in your greenery from the Sun, as the residue from the treatment will help eliminate them. Cardinal Lawn Care will spray your outdoor living areas including trees, shrubs and foliage around your home. Our spray kills all mosquitoes that are present at the time of application and creates a protective barrier for up to four weeks. ​We use a gas-powered backpack mist blower to apply insecticide to mosquito resting areas in your yard such as fences, foliage, walls and eaves. Our mist blower allows us to get the coverage we need to gain control with around 4 gallons of finished spray for most yards. The pyrethroid insecticide we use is based on naturally occurring pyrethrins and is incredibly effective at killing and repeling mosquitoes. So you have an outdoor event planned? Don’t let mosquitoes ruin your special day! 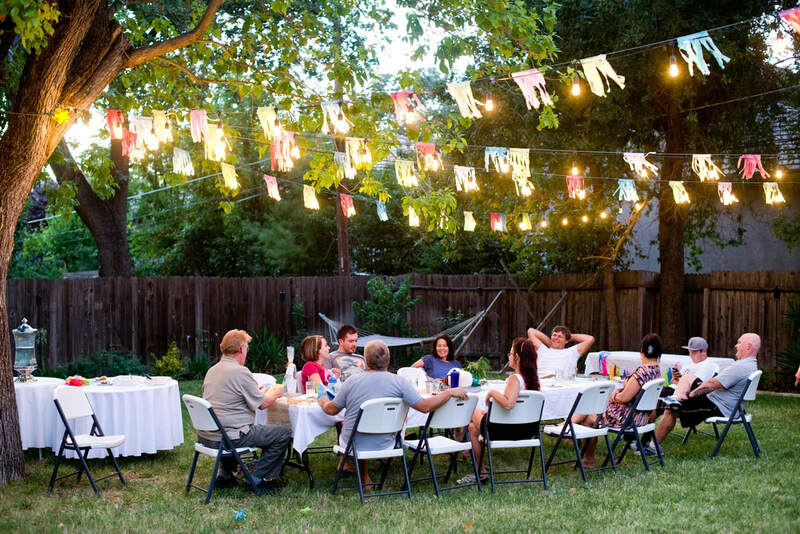 From outdoor weddings to backyard birthdays and family gatherings, BBQ, Mosquitoes don’t have to be on the guest list! Call The Mosquito Experts at at Cardinal Lawn Care least 48 hours prior to your event, and we will treat your outdoor event space. Perfect for weddings, barbecues, cookouts, family reunions, birthday parties and other outdoor gatherings, our single-time mosquito spraying service can ensure your special event remains comfortable and pest-free for all guests.